A new year always comes with resolutions, goals and ideas, and Funjet Vacations thinks new travel adventures should be a big part of that. Funjet has put together an extensive list of 2019 travel ideas for you to consider as you plan your next vacation. If you’re looking for something brand new, plan to check out the Hard Rock Hotel Los Cabos. This resort is set to open in May of 2019. Be one of the first to experience this stunning property. Maybe new to you means a new excursion. How about scuba diving during a week stay at Dreams Dominicus La Romana in Punta Cana? It’s always fun to try something you haven’t done before while on vacation. Hawaii almost always makes the travel bucket list. If this is a destination you have not made it to yet, consider spending some time on the island of Maui. Experience the sunrise or sunset on the Haleakala Crater or go whale watching. You’ll be in awe of these majestic creatures. Maybe you prefer to take your adventures to the water. If this is the case, jump on a surfboard in Sayulita or take a dip in a cenote. 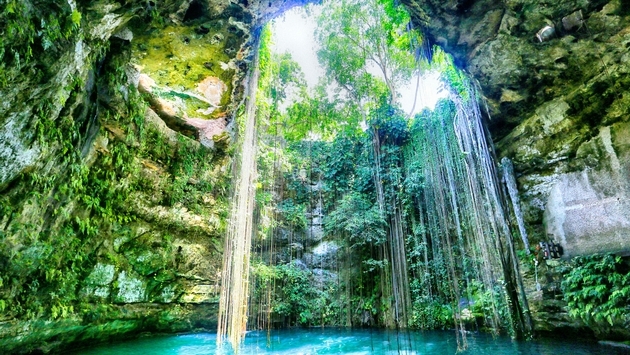 You can find several cenotes in Cancun, Riviera Maya or Tulum. For a true hidden gem, discover Hidden Beach off the coast of Puerto Vallarta. All of these adventures and much more can be booked through Funjet Vacations. Whether it’s a romantic retreat, group getaway or family vacation, choose to try something new this year. Learn more by visiting Funjet’s blog.